We are delighted to be able to share this positive article highlighting our award winning Edinburgh showroom in the latest edition of the kbbreview Magazine. 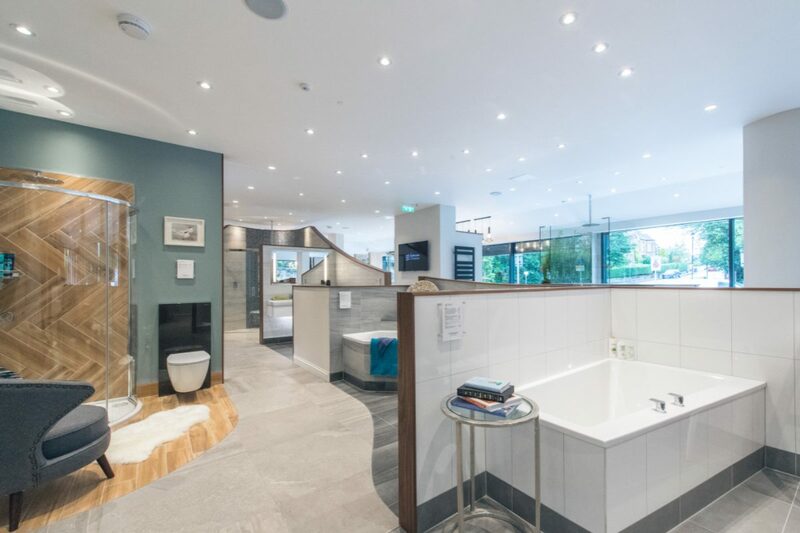 The Bathroom Company has been a hugely successful retailer for many years but in 2017 it opened its first showroom in the centre of Edinburgh – and it has been a triumph. This showroom features 30 working displays of high-profile brands. The showroom was designed to have surprises around each curve and there are themed displays including traditional, Italian, country cloakroom and rooms with sloped ceilings to represent the space found in many Scottish properties. “It is quite simply the best showroom we have been in for quite a while! It was originally meant to open in April 2017 but was delayed to make it exactly right in every detail, and it was well worth the wait. The showroom is a real feast for your senses, clever use of plants, fish, tiles, lighting and wallpaper make every display unique. The showroom is a great balance of aspirational room sets, that includes bespoke features and normal sized bathrooms that still manage to offer something different”. This entry was posted in Awards, Business, Promotional and tagged KBBreview, The Bathroom Company.